The Orange County Transportation Authority invites proposals from qualified consultants to provide public outreach services for the South Orange County Multimodal Transportation Plan Study. Pavement Striping and Markings at Garden Grove Bus Base. This IFB requires a State of CA General Contractors type A, C-12 or C-32 license. 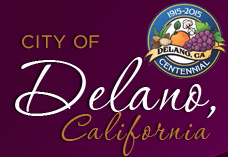 The City of Delano invites and will receive sealed proposals (bids) for the 2017 HSIP Improvements, 32 Pedestrian Crossings. Mandatory Pre-bid Meeting on September 22, 2017 at 10AM. AC Transit is seeking proposals from attorneys/firms to establish a panel of qualified attorneys and/or law firms in different specialty areas from which the District can draw as needed. The Alameda-Contra Costa Transit District (AC Transit) is soliciting responses to this Request for Proposals (RFP) from qualified transportation planning and/or public outreach firms to assist with the public engagement elements of the District’s Transbay Comprehensive Operations Analysis. The purpose of this project is to ensure the community, riders, and key stakeholders are engaged in the process of developing and vetting service changes for Transbay services early and often. The Alameda-Contra Costa Transit District (AC Transit) is soliciting responses to this Request for Proposals (RFP) from qualified transportation planning firms to develop the concept of Multi-Purpose Parklets — low-cost, low-impact curb extensions that function as both transit stop and parklet. The purpose of this project is to evaluate the costs and benefits, ideal design, funding mechanisms (including public-private partnerships), and supportive public policy for parklets as transit stops. The Alameda Contra Costa Transit District (AC Transit) seeks to engage a firm with relevant expertise to perform a written analysis concerning the District’s alternatives for conversion of its bus fleet to zero emission bus technologies. AC Transit (the “District”) is seeking proposals from qualified advisory or consulting firms to develop and assist in the implementation of a Transit Asset Management (“TAM”) Plan which fully complies with the Federal Transit Administration’s TAM Plan Final Rule through June 30, 2022. AC Transit (the “District”) is seeking proposals from consultant firms to facilitate the development of the District’s 2017 Title VI Program update, including conducting research, development of policies and plans, documentation, and other activities as necessary to be completed by July 20, 2017. The Alameda-Contra Costa Transit District is seeking consultant services to develop, conduct, and analyze a biennial public opinion survey of residents within the District’s service area. The objective of the survey is to ascertain changes in public opinion since the initial survey was conducted in March 2013 and the second survey in April 2015. The surveys establish a quantitative assessment of the public’s views about AC Transit, including public perceptions of its strengths and weaknesses, and its value to the East Bay community. To view more information about this procurement request, please visit http://www.actransit.org/purchasing/acpronet/. Contact Amanda Palmquist, who is the contracting officer for this project if you have any questions. Her email address is apalmquist@actransit.org. AC Transit (the “District”) is seeking proposals from qualified firms or individuals to provide Transit Advertising Services for a five (5) year contract term, running from July 1, 2017 through June 30, 2022, with one (1), five (5) year contract option. To view more information about this procurement request, please visit http://www.actransit.org/acpronet/transit-advertising-services-3/. Contact Michael Daly, who is the contracting officer for this project if you have any questions. His email address is wdaly@actransit.org. To view more information about this procurement request, please visit http://www.actransit.org/acpronet/uniform-rental-and-laundry-cleaning-services-3/. Contact Nocoasha L. Henry, who is the contracting officer for this project if you have any questions. Her email address is nhenry@actransit.org. To view more information about this procurement request, please visit http://www.actransit.org/acpronet/transit-information-display-case-maintenance-services/. You received this email because you registered online as a vendor with AC Transit for a commodity category associated with this procurement request. Metro is seeking the services from an experience contractor to develop and establish a mobile marking and strapping program with the goal of improving both the safety and efficiency of the securement process by offering wheelchair strapping and marking services at various facilities and locations throughout Los Angeles County. Description: Los Angles Metro is currently seeking a contractor to develop an asset management system for the Central Cash Counting Office (CCCO) meeting the requirements stated in the Statement of Work. Evaluation Information: Metro is acquiring commercial items; or other supplies for services on the basis of reasonably definite specifications and the contracting officer can establish fail and reasonable prices at the outset. 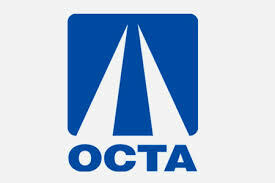 OCTA is seeking an independent consultant with no current involvement in the OC Streetcar Project to serve as overall Quality Assurance Manager to oversee the quality process of OCTA’s staff and its consultants/contractors which provide services for the OC Streetcar Project. The Riverside Transit Agency (RTA) invites bids from qualified vendors to manage its Liability and Vehicle Physical Damage claims. The selected vendor shall deliver a cost effective and proactive Liability and Vehicle Physical Damage administration program. 2:00 p.m., June 6, 2016, Pacific Local Time. The Retirement Boards for Sacramento Regional Transit District (RTRB) is soliciting proposals from consultants with qualifications, experience and knowledge to provide Legal Support Services for RTRB. 2:00 p.m., Wednesday, June 8, 2016, Pacific Local Time. Sacramento Regional Transit District (RT) is soliciting proposals from consultants with qualifications, experience & knowledge to provide Environmental Support Services over a 5-year period, with the work to be done on a Work Order basis. The team will include a prime Consultant and team of subconsultants that have specialized expertise in such areas as: preparation of various types of National Environmental Policy Act (NEPA) and California Environmental Quality Act (CEQA) documents, assist in wetlands delineations and mitigation, assist in biological studies, provide arborist consultations, conduct noise and vibration impact assessments, assist in cultural resource evaluations, perform traffic studies, and have required experience in working with the various federal, state and local resource agencies. GET Purchasing Agent at (661) 324-9874 or: seagle@getbus.org. 4:00 PM PST April 20, 2016. Golden Empire Transit District (GET) invites proposals to provide uniform service. Foothill Transit is issuing this Request for Qualifications No. 16-053 (RFQ) seeking submittals from qualified firms or individuals to provide necessary architectural and engineering services for the Covina Park and Ride Project (Project). The Scope of Work for Phase 1 architectural and engineering services for the Project includes the following services: (1) preparation of preliminary architectural and engineering design documents, (2) development of appropriate architectural design services to support environmental clearance documents, and (3) performance of related preliminary engineering work. A mandatory site visit is scheduled for 9:00 a.m. PST on March 9, 2016 on the second floor of Foothill Transit’s Administrative Offices located at 100 South Vincent Avenue, West Covina. GreenPower is looking for DBE manufacturers of bus components, such as bumpers,engine components ,flooring, hardware, lighting, and seats to name a few. Please contact us for a complete list and to join our team. Potential supplier work scopes may include fiberglass products / end caps / front caps and components, bumper assemblies, interior trim, wall coverings, flooring and floor coverings, passenger seats, driver’s seat assemblies, window assemblies, entrance and exit door assemblies, door control systems, heating and air conditioning systems, video/radio/paging equipment, interior/exterior lighting, wire harnesses, destination signage, belts and restraints, mirrors, running boards, stanchion tubing and fittings, luggage racks, tailpipes, specialty steel (structural steel tubing, etc. ), metal fabrications, welding, aluminum extrusions, fire extinguishers, decals/striping/paint, first aid kits, plywood, hardware, technical manuals, transportation of materials, seals/tapes/caulking, shop tools and cleaning supplies, motor oil, and other stipulated deliverables for installation on commercial buses and cutaways.